Free Fishing Reports > Northeast > New York > North Shore > Old Friends Bass it up !!! 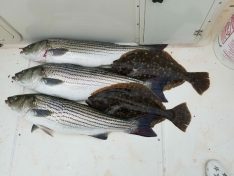 Former Huntington native and friend from Philly, Trevan Borum,Tom and I went out for a morning of Bass Fishing !!! the bite started a bit slow, but soon, we were both on the fish !!! 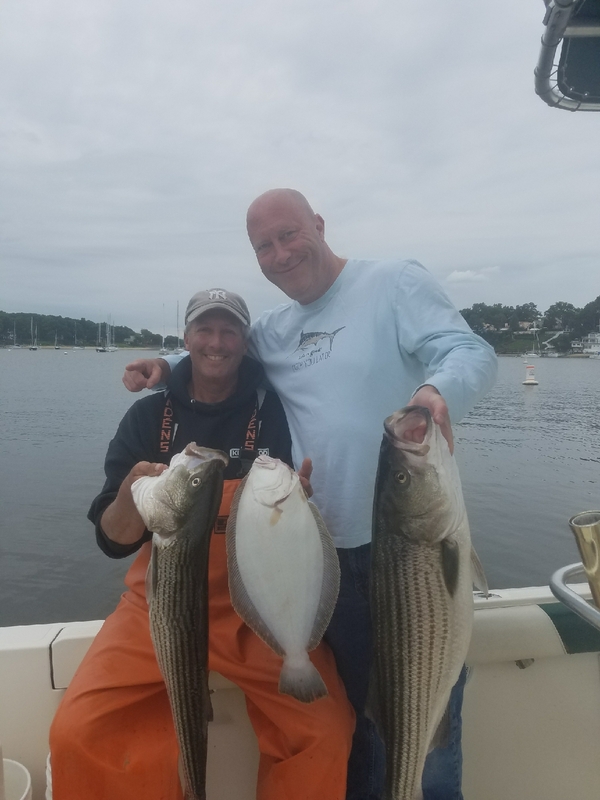 Trev had Bass from 34″-37″ and the we turned to fluke fishing, where we both caught lots of short fluke, but had 2 nice keepers at 22″ + 25″… always fun fishing with you trev, enjoy the fish !! !